If we talk about top priority in smartphones safety then definitely our answer would be is its screen protection. Smartphone screen quality, touch and display are the three main things that are very important to increase service life, beauty, and customers. So, any mishap like fall or wear can break screen or can produce scratches on it. And this is enough to make a user’s day off. 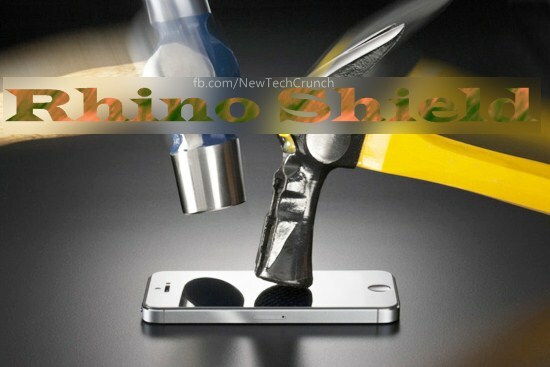 To eliminate this element recently a world toughest screen protector Rhino Shield is introduced. Since from couple of years almost all new gadgets including ultrabooks, tablets and smartphones are using Gorilla Glass. Gorilla glass is quite strong, scratch resistance and good impact resistance in comparison to early ones. Gorilla glass is invented in 1960’s but Apple is the first company which starts using it in its iPhone. But still in many wear, press and drop cases news of cell phones screen bust, cracks, scratch are recorded. By keeping all these hazards in mind Evolutive Labs introduce a new screen protector which can protect you smartphone screen from any type of scratches to severe impact. By combining a number of different layers Evolutive Labs created a unique screen protector that provides a totals solution. As well as standard oil repellent, scratch resists layers, high strength layer and adhesive layer. This screen protector also contains crucial impact dispersion and impact damping layers. Despite containing so many layers which no any other mobile screen protector has, it is only 0.029 cm (3 times thicker than a sheet of paper) in thickness with marvelous transparency. By multiple tests it is observed that by the application of polymer technology Rhino Shield on Gorilla Glass screen can increase its properties at least up to 5 times. The price of Rhino shield is different and in ranges from 20-30 USD (2000-3000 & 1000-1700 rupees in Pakistani and Indian currency, respectively), depending on for what phone (Samsung Galaxy S series, tablets, Nokia touch phones, HTC devices, Apple iPhones, etc.) you are buying it.